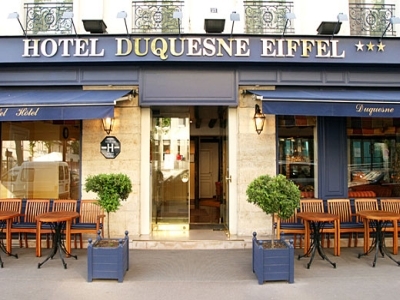 In Paris, we will be staying in the boutique Duquesne Eiffel Hotel in the heart of Paris, at the Champ de Mars, on the Left Bank. Located near the famous landmarks of the Eiffel Tower, the Champs Elysees, Rodin Museum, the Trocadero and the Invalides, the hotel is an ideal point from which to discover Paris. The comfortable, modern rooms are located in an authentic 18th century building, the hotel has a private bar in an "Old Paris" style and a wonderful view onto the Eiffel Tower. The hotel offers personalized services which are part of the charm of traditional hotels. The friendly, professional staff offers impeccable service in several languages. the rooms feature air conditioning, satellite TV, mini bar, private bathroom with hair dryers, radio and alarm clock, safe, direct dial phone. The hotel provides newspaper delivery, laundry services, 24 hour front desk and security. In Provence, we'll be staying for 5 nights at the Mas des Carassins Hotel, in St. Remy, in the heart of the "golden triangle": Nimes, Aix, Avignon, and at the foot of the Alpilles. Bathed in light, le Mas des Carassins is an oasis of calm and cool, located a few minutes walk from the center of Saint-Remy, once home to Van Gogh and Nostradamus. In the old, clad dry stone mas, built in the middle of the 19th century, your will experience the atmosphere of serenity, calm and conviviality which assures a prefect stay in a place that is over a hundred years old. Rooms have been recently renovated to provide you with the utmost in comfort: air-conditioning, mini bar, modern bathrooms with bath and shower, hairdryer, bath robes and refined toiletries. The 14 rooms are personalized with Provencal décor like "boutis" (bedcovers), and bear names that symbolize Provence: Lis Crau, la Manade, Lis Aupiho, Lis Oulivades, la Jasse. 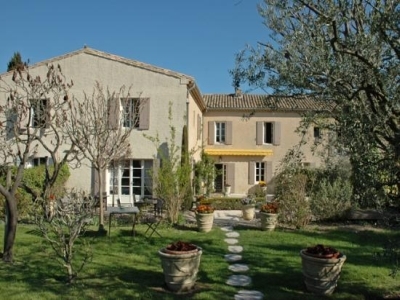 Most have private gardens and magnificent view of the Alpilles and the surrounding countryside.